What Generation Is Your Biodiesel? It has become popular lately to refer to biofuels as “first generation,” “second generation,” “third generation,” and so on. First generation biofuels consist of ethanol from sugar or starch (such as from corn) and biodiesel from animal fats and vegetable oils. Fourth generation status is claimed by every new technology seeking to promote itself as the next big thing. These terms have no real meaning—they are mainly marketing-speak, as Gerhard Knothe pointed out (Knothe, 2010). Biofuels producers using more unusual feedstocks may claim to be a higher “generation” than biofuels from more common feedstocks such as soy oil or waste grease. In fact, in a blog post, we explain how the use of the “generational” terms can be misleading. In reality, the “generational” terms are not used in any official context, such as the Environmental Protection Agency’s Renewable Fuels Standard 2 (RFS2). Virtually all biofuels producers in the United States must comply with the RFS2. Renewable fuel – “fuel produced from renewable biomass and that is used to replace or reduce the quantity of fossil fuel present in a transportation fuel.” In general, to qualify under the RFS2, renewable fuel must show a 20% greenhouse gas reduction compared to the fossil fuel it displaces. Biomass-based diesel—“includes both biodiesel (mono-alkyl esters) and non-ester renewable diesel (including cellulosic diesel).” The fuel must be made from renewable biomass; its lifecycle GHG emissions must be at least 50% less than the diesel fuel it displaces; and it cannot be co-processed with a petroleum feedstock. If biodiesel does not meet one of the above definitions, it cannot be sold as a biofuel under the RFS2 program, no matter what “generation” it is claimed to be. Knothe, Gerhard (2010). “Biodiesel and Renewable Diesel: A Comparison.” Progress in Energy and Combustion Science 36, pp. 364–373. 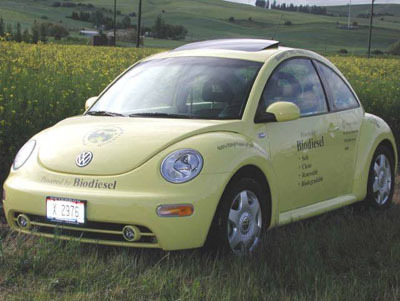 Forget Generational Biofuels — this is a blog post on the Biodiesel Discussion Forum at the University of Idaho’s Biodiesel Education Program. 2010.